Possum Parmigiana and Chips: Could Australian native animals be a source of food? 25 Jul Possum Parmigiana and Chips: Could Australian native animals be a source of food? Could looking at the past offer us a glimpse of what’s to come in the future? That’s a question Dr Jillian Garvey is trying to answer through her investigation of the role Australian native animals played in pre-colonial Australia. With the aim of identifying what fauna could offer us a sustainable source of food, Dr Garvey has been examining the carcasses of native animals and analysing their nutritional values. Records show that Aboriginal people hunted a range of native animals for food – including kangaroos and wallabies, emus, wombats, possums, reptiles, small birds and shellfish. This information also shows that Aboriginal hunters preferred certain species to another and even favoured certain cuts of meat. Dr Garvey’s research has come one step closer to understanding why hunters made such selective decisions. An analysis of wombat meat showed that they have a large amount of nutritious and fatty meat along their backs, providing a tasty, filling and healthy food source. This information matches archaeological records about the butchery habits of the Ice Age southwest Tasmanian hunters, who frequently targeted wombats and the medium-size Bennett’s wallaby for food. While wombats offer plenty of easily accessible energy, it might not be a particularly healthy form. Wombat fat is high in saturated fat – not ideal for a caveman looking to control his cholesterol. The echidna would be a better option, with a highly nutritious layer of unsaturated fats located between its quills and skin. Other healthy native fauna options include the Eastern great kangaroo, which has a large amount of lean meat around its pelvis and highly nutritious bone marrow. Smaller macropods (pademelon and potoroo) yield less meat but have nutritiously rich bone marrow. Splitting animal bones and eating bone marrow is one way hunters may have avoided protein poisoning – a fatal condition caused by a lack of fat in the diet. 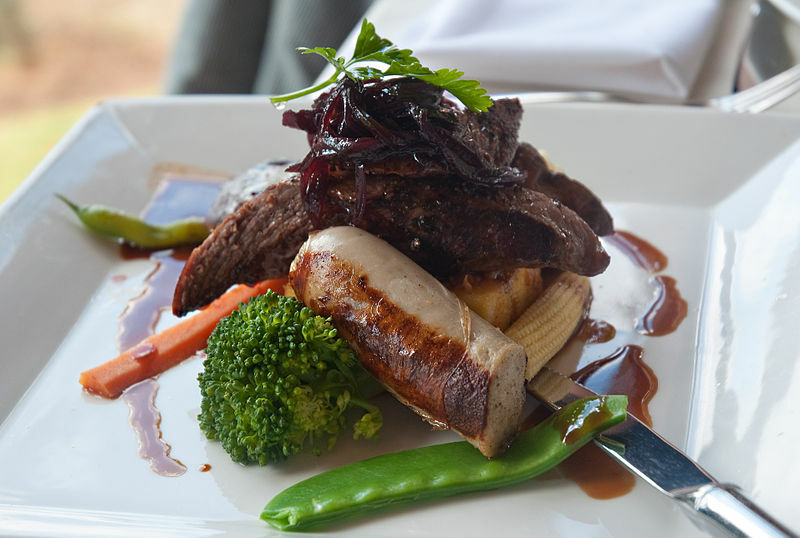 While kangaroo is a relatively common feature on Australian menus, the most likely additions are emus and wombats. There are hurdles in introducing new native species to consumers including ethical rearing and slaughter, the development of supply chains and convincing consumers to try alternative protein sources. But in an age plagued by issues including global warming and obesity, native meat sources could offer a sustainable solution.